Join us at Sycuan Casino’s Live & Up Close on Saturday, September 30th from 2pm to 6pm for our eSPORTS TEKKEN 7 TOURNAMENT, hosted by Hamby + Jeremy + GameSync Gaming Center! Jeremy will also be hosting pick up games inside Sycuan Casino’s GameDay Sports Bar for anyone who wants to come down, enjoy a craft beer and play TEKKEN 7 (21+)! The tournament is FREE to the public to watch, 18+ and limited to capacity. Sign up here to compete in the tournament for a chance to win a trip to Seattle to attend GE2, plus a $100 GameStop gift card! Sycuan casino informed us they are giving away a free 50″ TV and game system, raffle available to anyone who attends. All participants must be registered in advance via 949’s website, must provide their real legal name and contact information, and must be at least 18+ years of age. 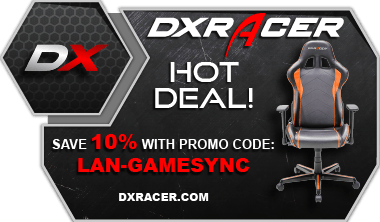 GameSync Gaming will provide all equipment, game copies, controllers, etc. Participants must be on site 30 minutes before the event begins for check-in. Attendance and participation are free of charge, subject to the responsibilities detailed above and below. 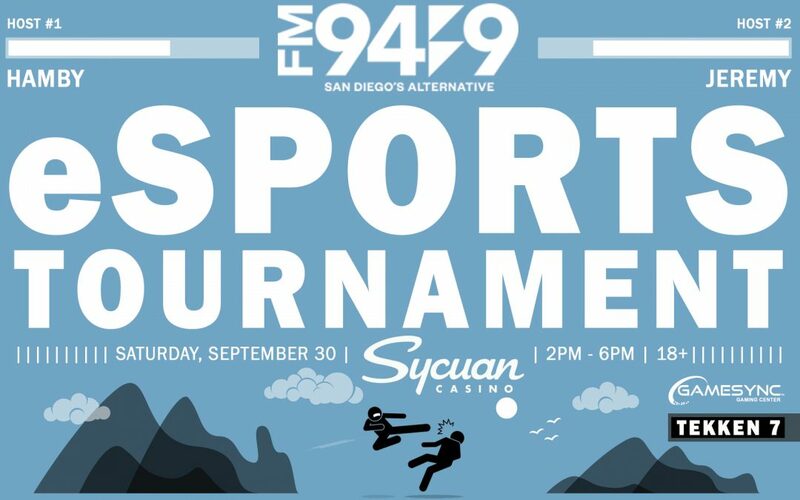 The tournament will take place Saturday, September 30th, from 2pm to 6pm at Sycuan Casino’s Live & Up Close venue. Attendees should be on-site and checked in by 1:30pm. This tournament is being held as a double elimination bracket. Seeding method will be determined by tournament admin after signups are closed. Brackets will be posted after check-in. Each match will take place as a best 2/3 games. Each game will be a best 3/5 rounds. Each round will be limited to 60 seconds. There will be a Grand Final for the 1st place prize. There will be no match for 3rd place. GameSync Gaming staff will manage the tournament. The Director will be responsible for running the entirety of the tournament. The director is empowered to make any and all decisions regarding rule enforcement and conflict resolution. The game being played in this tournament is Tekken 7. The platform is PC/Steam. When both players are at the game console, they must come to an agreement which side of the machine they will play on (who will take 1p and who will take 2p). If an agreement cannot be reached, a admin will flip a coin or they may play Rock Paper Scissors (BO1) to determine who picks. By default, players choose their character whenever they want. Players pick who they want and go. Once either player chooses a character, neither is allowed to request a change to selection method. Either player must explicitly request the Double Blind method before either player selects a character. In the Double Blind method, the player on the left chooses their character and whispers it to the admin. The player on the right (2P) then chooses a character. The first player (1P) then selects a character. The admin ensures they stick to their original choice or choices. Once a player has won the required number of games, the winner of the Match should report the result to a admin. If there are still games to be played, the player who lost the game has the option of switching sides (1p to 2p) for the next Game. They may also change character and stage. The player who won the last game is required to keep the same character, game modes and order of characters in the next game. Any player using metered move glitches (Eliza/Akuma) will automatically forfeit the round. In the event that a player violates tournament rules or the specific rules of Tekken 7, the following rules apply. It is the player’s responsibility to detect and report all Match Rule violations and report them to a admin. Non-gameplay (in match/game) violations must be reported to a admin prior to the start of the Game. Players may not stop a game in progress to address a non-gameplay related rule violation. Stopping a game in this manner will result in the responsible player forfeiting the round. If a violation occurs in the middle of the match (glitching, etc) the game may be stopped to report the violation. If the report and stoppage are erroneous, the player responsible forfeits the round. All violations must be reported immediately–otherwise they will be ignored. 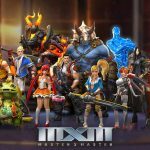 Any game stopped by a admin due to a mis-reported rules violation will be restarted with both players using the same sides, characters, stages and so forth. No disqualifications will be enacted. Only a admin or the players directly involved in a game may stop it to report a rule violation. Anyone else doing so will be disqualified from the tournament and/or removed. Any player who stops a game mid-game for any reason other than a legitimate rule violation report will immediately forfeit the round. This includes accidents. Any interruptions outside the player’s control will be dealt with directly by a admin. Best efforts will be made to resume the round from where it left off. If this is impossible, the game will be replayed with the exact same ruleset, characters, stage etc as before. The following rules govern how technical difficulties, equipment failure, and other similar issues will be handled. A player exercising this option forfeits any game/round in progress. New equipment must be immediately available. If replacements are not immediately available, the player must continue to use the current equipment or forfeit the match. When replacement equipment is obtained, the player may use the rest of the round to configure their buttons and test the new equipment. If the player gains an undue advantage by doing so, they must forfeit the game. It is the goal of this organization that all rules be clearly understood and fairly executed. In the event of a violation beyond what is already established above, the following consequences will be in effect. Any violation of the rules will be reported to the tournament director immediately. The director may issue a Forfeit, Warning, or Disqualification. If no match is in question when the forfeit is issued, the participant automatically loses the next match. If the participant was in the lower bracket at the time of the forfeit, they are eliminated as if they’d lost normally. A Warning has no immediate impact. Warnings are usually issued alongside a Forfeit. A second Warning results in immediate Disqualification. Misconduct, excessive stalling, minor damage to equipment, severely unsportsmanlike behavior are all possible grounds for a Warning. Disqualification renders the disqualified player ineligible for any prizing, titles, or continued participation in the tournament. They are effectively eliminated from all brackets and removed from the tournament. Receiving a second Warning, physically assaulting another individual, theft, excessive misconduct or any violation of the host venue’s policies can result in a Disqualification. The first place prize will be awarded to the player who wins the Grand Finals match, in accordance with the rules set down in sections 2 and 3 of this document. The second place prize will be awarded to the player who is defeated in the Grand Finals match. Any third place prize will be awarded to the player who loses the last match of the Lower Bracket and fails to advance to the Grand Finals. On the day of the event contact information for Tournament Admins will be made available. Contact information for the hosting organization & venue will also be made available day of. Participants who are called to a match without a prior, valid reason for being absent will be given five minutes to report to their station with all equipment. After this time has passed, the absent participant will be issued a Forfeit. There are no exceptions. Refusal to play a match, for any reason, results in disqualification and forfeiture of all rights to any titles, prizes or other rewards resulting from that match. Any draws that occur for any reason will be replayed. Collusion of any kind with competitors is considered cheating. The Tournament Director is empowered to issue immediate disqualifications to any players determined to be colluding to manipulate the outcome of the tournament. This and all disqualification and other consequence decisions are at the sole discretion of the Director. These rules are implemented to ensure that the tournament is a fair, smooth, enjoyable and competitive event for all involved. In the event of unforeseen circumstances, the Director is empowered to make immediate changes to the tournament rules, remove or disqualify a player, and other executive actions at any time.